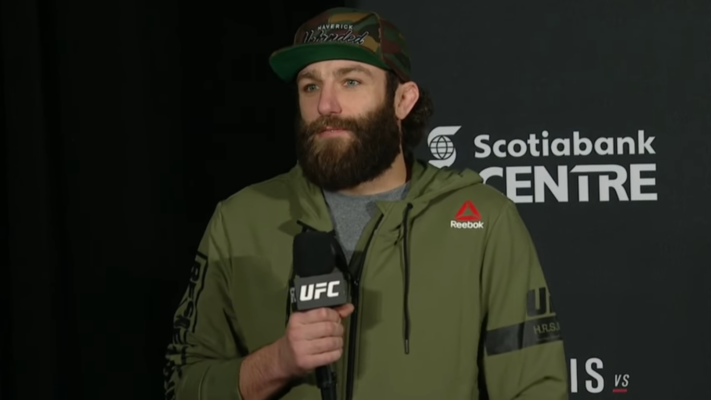 It appears Michael Chiesa is hoping to return to action before 2018 comes to a close. Chiesa was last seen in action back in June. He was submitted by former Ultimate Fighting Championship (UFC) lightweight title holder Anthony Pettis. It’s “The Maverick’s” second straight loss and he has now gone winless since April 2016. Chiesa is the 11th ranked UFC lightweight, but the weight cutting became unbearable. After missing weight for his fight with Pettis, Chiesa told reporters that he was done cutting down to 155 pounds. Earlier this week, it was revealed that Chiesa filed a lawsuit against former two-division champion Conor McGregor. The “Notorious” one attacked a bus holding red corner fighters just two days before UFC 223. McGregor hurled a dolly at the bus, shattering a glass window. Chiesa was cut as a result and his bout with Pettis had to be rescheduled. Who would you like to see Michael Chiesa fight at welterweight?